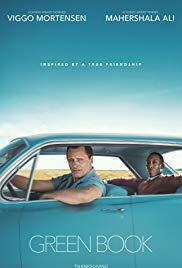 Based on true events it’s the early 60’s and working class tough guy, bouncer, and fixer Tony Lip (Viggo Mortensen) is a man looking to support his family for a few months while his main gig is rebuilding; reluctantly, he jumps at the opportunity to make a few dollars by being the private driver for Dr. Don Shirley (Mahershala Ali), a classically trained world class pianist booked on a tour of the deep South who happens to be African American. Needless to say, tensions will be running high at multiple ports of call, but the lessons and wisdom both can pass to each other will hold more value than any concert hall can hold. Directed by Peter Farrelly and written by Nick Vallelonga, Brian Hayes Currie, and Peter Farrelly, this feel good film for the 2018 awards season conjures up memories of Miss Daisy and checks all of the requisite boxes for a balanced and wholesome day at the movies with two potential awards nominees. Sure there’s a fair amount of pandering towards the final act of the film, but the general sentiment is still solid despite the spoonfuls of sugar audiences are being asked to consume, syrup anyone? Meanwhile, clocking in at 2 hours and ten minutes of run time it’s hard to say what could have been let go, but certainly, a more judicious knife could have tightened things up a further, so it goes. Still, an entertaining and interesting mirror to our current political climate. Green Book is rated PG-13.